The Festival del film Locarno celebrates its 66th year this August in the Swiss-Italian town of Locarno on the shores of Lake Maggiore. Audiences gather in the Piazza Grande to celebrate world cinema for eleven days culminating with the award of the Leopard Statuette. Festival del film Locarno is one of the oldest film festivals in the world has always been a festival of diversity, new visions and tendencies in cinema. It is the place to discover new talent in modern. Paul Verhoeven, Claude Chabrol, Stanley Kubrick, Greg Araki, Spike Lee, Jim Jarmusch, and Gus Van Sant are a few of the directors who have debuted films at Locarno. Born in Turin, Carlo Chatrian is a cinephile in every sense of the word. Carlo worked as a film critic for magazines Filmcritica, Duellanti, Cineforum as well as curated film programs for Cinéma du réel in Paris and the Museo nazionale del cinema in Turin. Currently a consultant to Swiss Cinematheque in Lausanne, Mr. Chatrain has published many essays on filmmakers and has taught courses on film at schools and institutions. 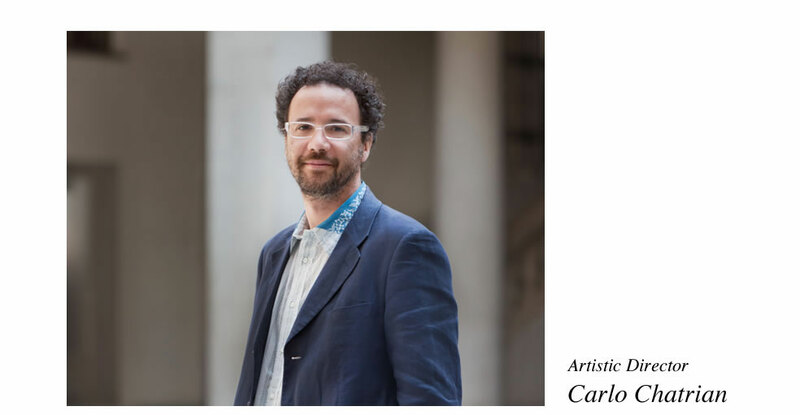 Mr. Chatrian has worked with the Festival del film Locarno in various roles since 2002. From 2006 to 2009 he served on the selection committee, and became artistic director of the festival in 2012. The Glare interviewed Carlo for an interview about the festival and his role in its success. 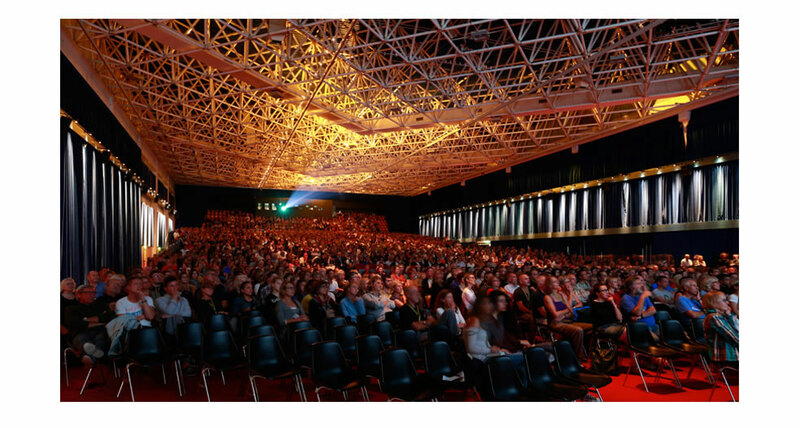 What are the expectations and pressures of heading a film festival such as the Festival del film Locarno? They are very high and difficult the first year. I want to rediscover the history of cinema and discover new films that are exciting for our audiences. The normal life of a film is to be shown to an audience. The challenge I face is how to make the Festival del film Locarno brand appealing to many without diluting the brand. Why is the Festival del film Locarno so edgy? Edgy, yes! Our goal is to support filmmakers, not just filmmakers who are market driven. Film is an art form. This is a festival where “other films” can be screened. It’s about discovery, a crossroads of cultures as well as a gathering point. We have mainstream and experimental films with documentaries along with short films and a market section for buyers and sellers. It is about the right combination. Is the spirit of risk at the festival a way to distinguish the event? We like selecting new filmmakers and directors with strong visions. This was the first festival where Spike Lee and Jim Jarmusch showed their films. We showcased them here before any other festival. Our intention is to show a film here in order to give it exposure. Locarno wants quality not quantity, so the festival is not looking to increase the number of films showing, the films playing here are supported 100% by us. What is the mission of discovery? We give new directors space and a chance for dialogue. There is a chance to meet the people behind the film. The filmmakers are available for questions and answers with the audience. It is a bit informal. Werner Herzog, German Director of Fitzcarraldo, Nosferatu, and Aguirre, had a Master class for 1000 people. Christopher Lee spoke to 500 attendees and then sang a few verses of Verdi. The Festival del film Locarno can be a unique shared experience because it is more up close and personal. Plus, what is really important is we are always searching for fresh talent to introduce to world of cinema. Can you explain why your selections are not always critical darlings? Our combined jury is open to different aspects of cinema, a different way of telling a story for example. Our winners represent the spirit of the festival. Some of the films we choose are not about big budgets but great ideas. These films fit in festival program. What about the impressive location? Having the event in the Piazza Grande, in the center of the town, is a simple and beautiful ideal. It brings cinema to the people. Seeing the films under the stars is a completely different and amazing experience. The screen is 3 stories high (26 x14 meters). The indoor cinema holds 3000 people. Are new technologies disruptive or democratic for cinema? In theory more democratic editing and post-production are easier, so it offers more opportunities. With digital technology not only has the number of films offered increased but also the quality of films has risen. With the emergence of new cinema from developing countries, have we moved away from cultural imperialism? I hope so! This is an ongoing question. Look at what is happening in Africa. Authentic cinema language is a way to express culture, an interpretation. Hopefully, more western producers will support this movement. Is there a reevaluation of studio directors, such as George Cukor? It is a part of the festival cycle of balancing Hollywood Classic Cinema with new features, a bit of a comparison. Cukor’s movies say something about human beings. His view is very modern. Female roles in his films were not victims, they challenged the men. Were you surprised Vertigo was voted the top film by the American Film Institute? No surprise at all. I love watching this film again and again, the images. I discover more every time I watch it.